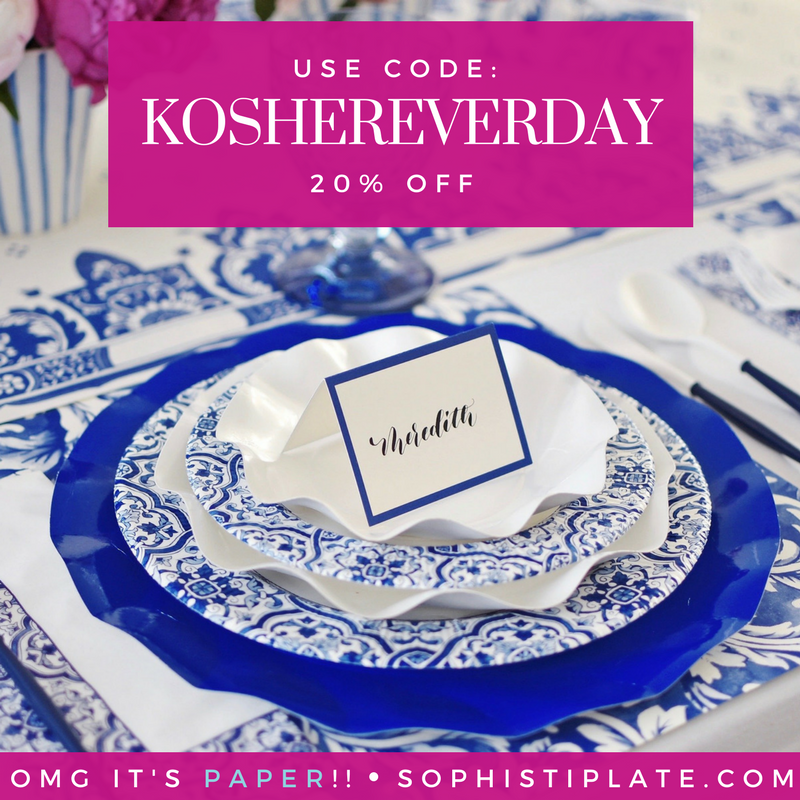 Growing up, our Shabbat and Yom Tov meals varied depending upon the whims of my mother (KIH) and grandmother (z”l), but our pre-Yom Kippur meal was always the same without fail. We would start with a beautiful round raisin challah with honey (“You should be inscribed in the book of life for a sweet New Year! ), followed by a wedge of sliced melon (“It’s SO juicy it will help you with your fast”). The rest of the meal, with the exception of the roast, had basically been made in a huge stock pot. My mother (and later my father (z”l) too) would take a ginormous stock pot, fill it ¾ of the way with water then add cut up chickens, whole celery stalks, peeled carrots and potatoes. 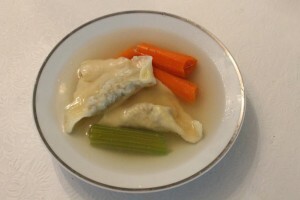 The result would be a clear, golden chicken soup and “delicious” boiled chicken (“You don’t want to add too much seasoning because it will make it harder to fast” a.k.a. ”please pass the ketchup….”). 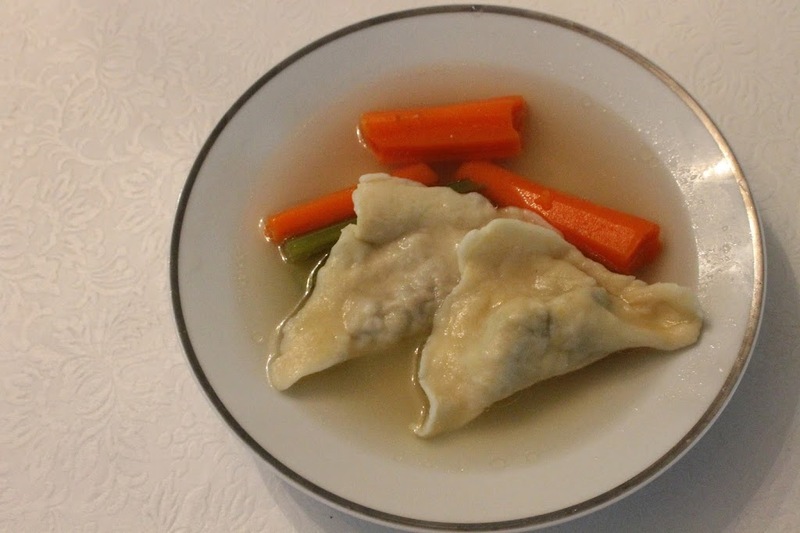 Once a year, for the pre-fast meal, my mother and grandmother would make Kreplach from scratch using my grandmother’s recipe from the “old country”. Not wanting to waste effort, they used a piece of the chuck roast they were serving during the meal to make those flavorful, delicious kreplach. We would enjoy them in bowls of rich chicken soup, with large pieces of carrots, celery and potatoes that we fished out of the pot. It was important that the soup be clear – no one wanted to have a “cloudy New Year”. We would finish the meal with honey cake and leftover sweet, sticky homemade taiglach from Rosh Hashanah. Now that the pre-fast meal is at my house, I try to continue the tradition and legacy that were handed down to me from my grandmother, mother and father. 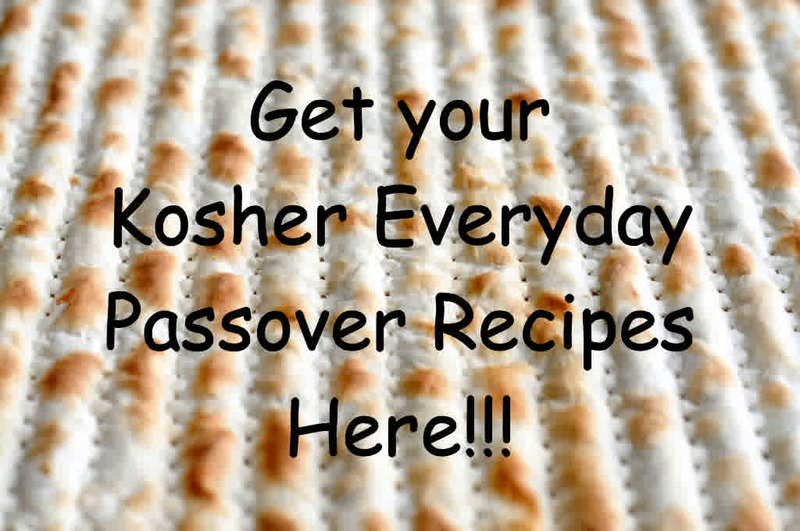 I hope that by continuing to make the recipes in our home we can pass our heritage to our children, and G-d willing someday they will pass it on to theirs. May you be inscribed and sealed in the Book of Life for a Happy and Healthy new Year. 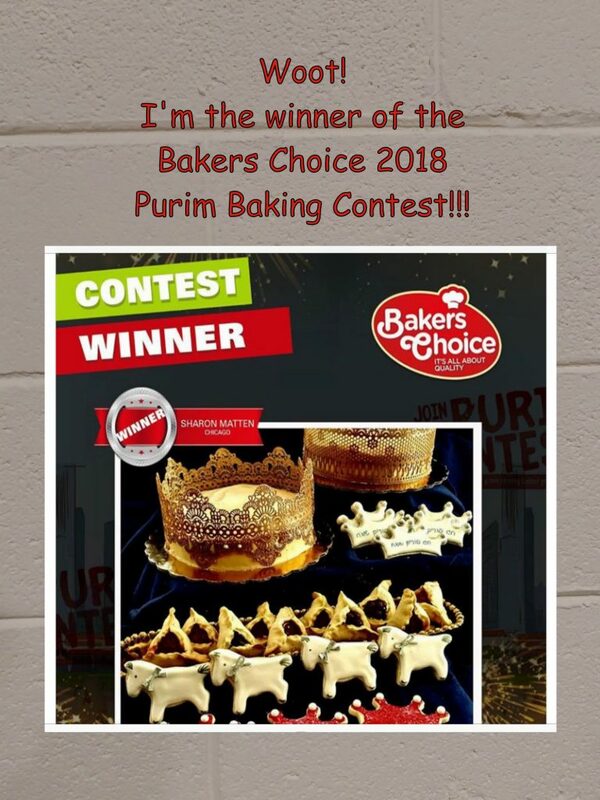 G’mar Tov! 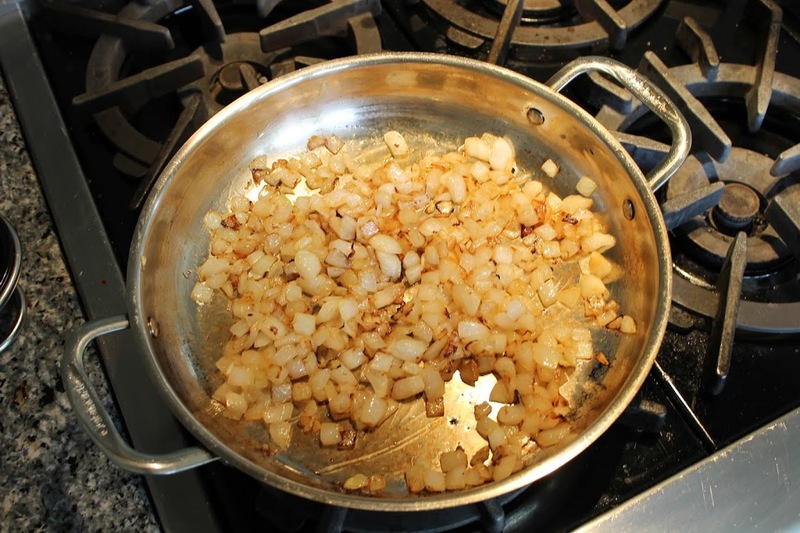 Add the diced onions and saute until the onions are caramelized and slightly browned. Using a meat grinder or food processor (I use my grandmother’s old fashioned grinder! 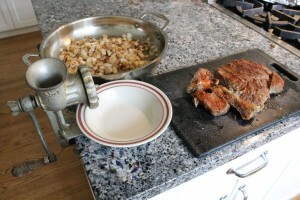 ), grind the meat with the onions. Add the ginger and mix to combine. 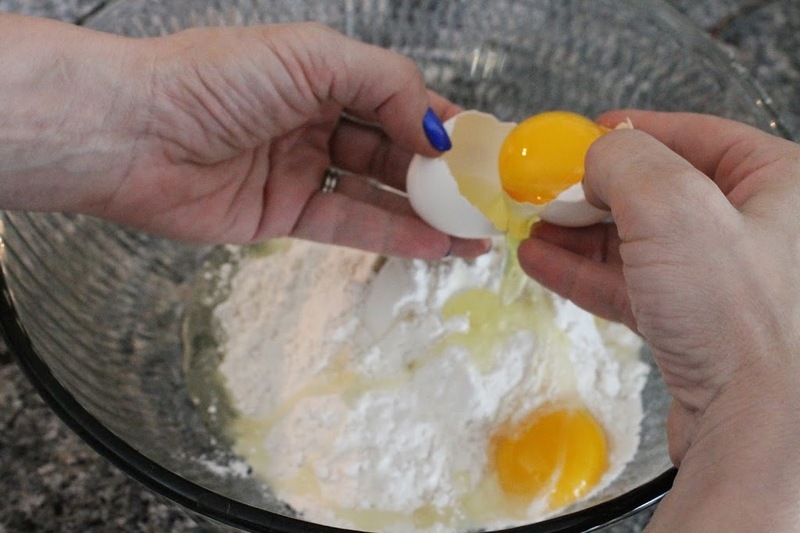 Place the flour, eggs and water into a food processor bowl. Pulse the dough while gradually adding the ice water. Adding additional ice water as needed, continue pulsing until a cohesive, smooth dough ball is formed. 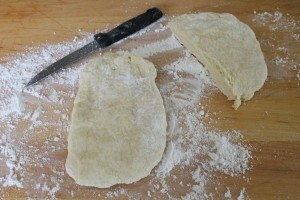 Remove the dough and divide it into 2. 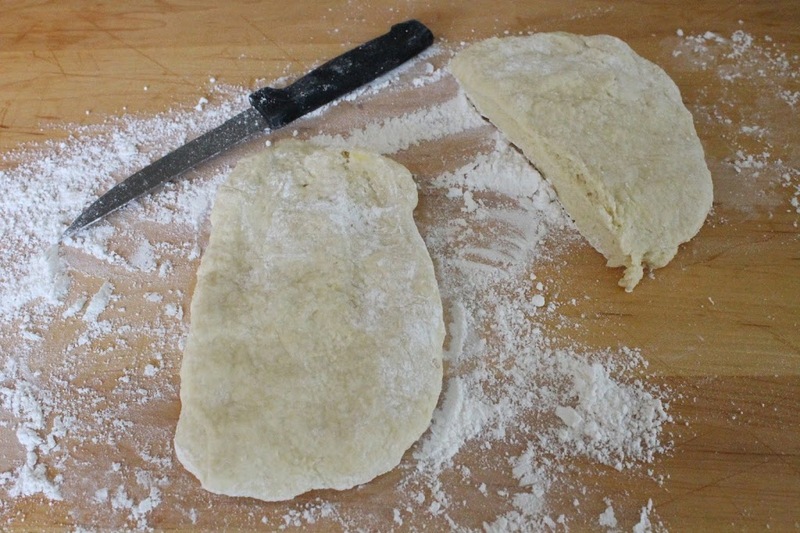 On a lightly floured surface, pat one piece of dough into a rough square. 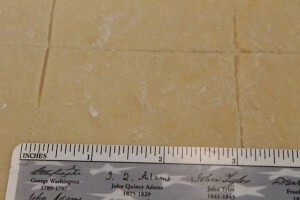 Roll the dough into a 12x12 inch square. 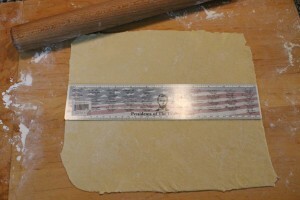 Using a ruler (like my Dad z”l always did!) 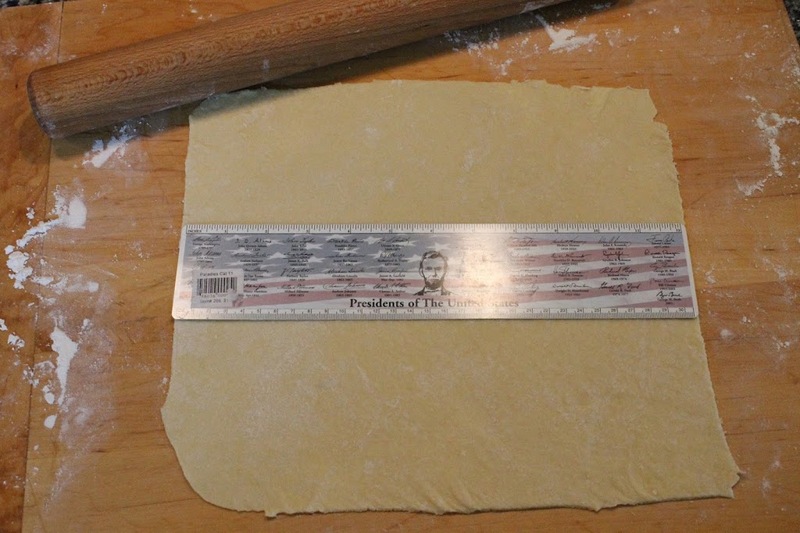 cut the dough into 16 3-inch squares. After filling and sealing repeat with second piece of dough. 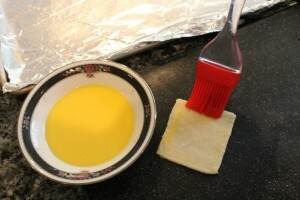 Cover a large baking sheet with foil, then spray with non-stick vegetable spray. 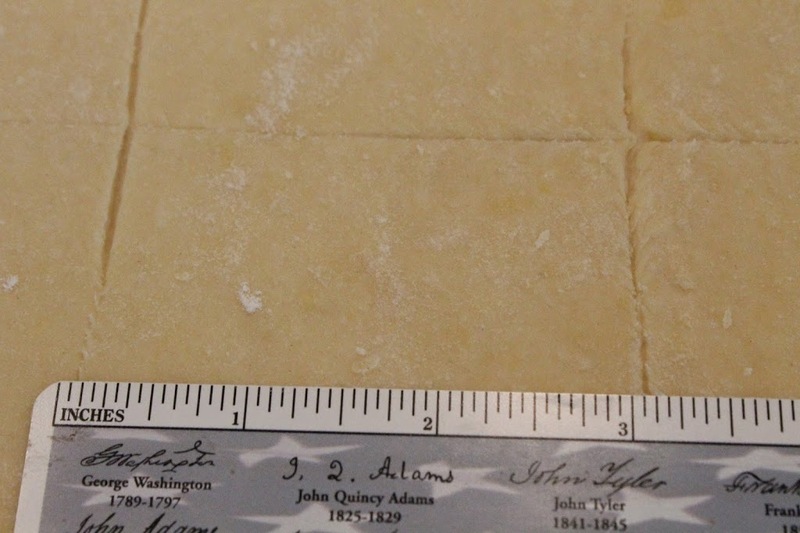 Take a 3-inch square of dough. Brush a light coating of egg around the edge of the square. 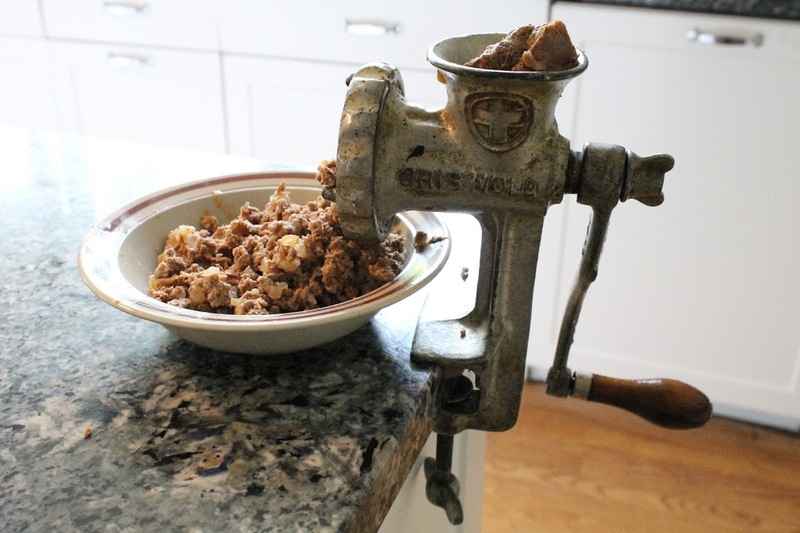 Place approximately a teaspoon of meat filling into the center of the square. 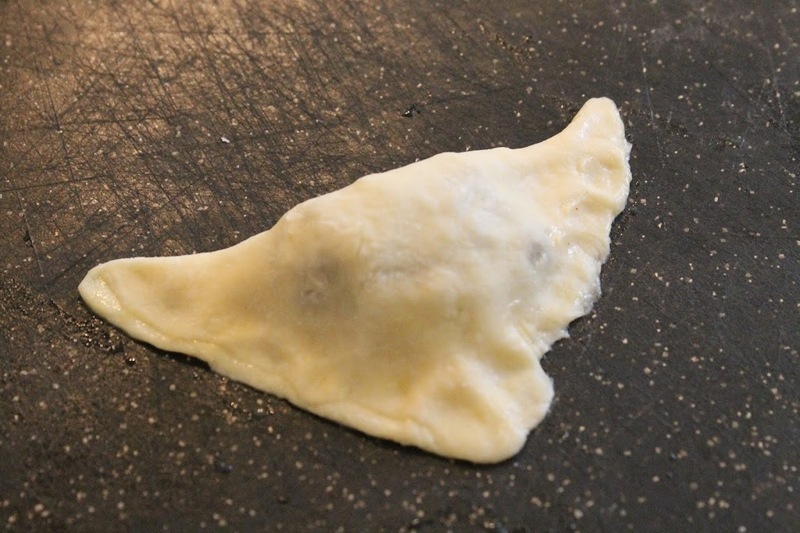 Fold the square over to make a triangle, covering the meat. Gently pinch the sides of the kreple to seal. 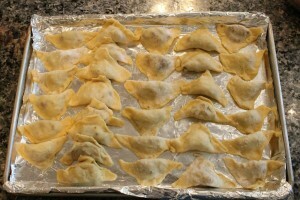 At this point in the recipe you can freeze the kreplach on the baking sheet. 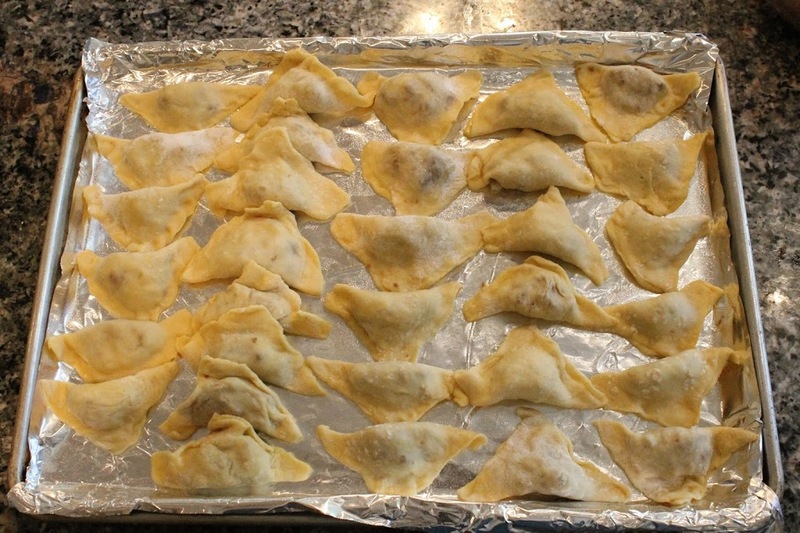 Once the kreplach are frozen, you can remove them from the baking sheet and store them in a zipper freezer bag. Fill a large 6-8 quart stock pot ⅔ full of water. Add the salt and canola oil, and bring to a boil. Carefully add some of the kreplach to the water, being cautious to not crowd them. 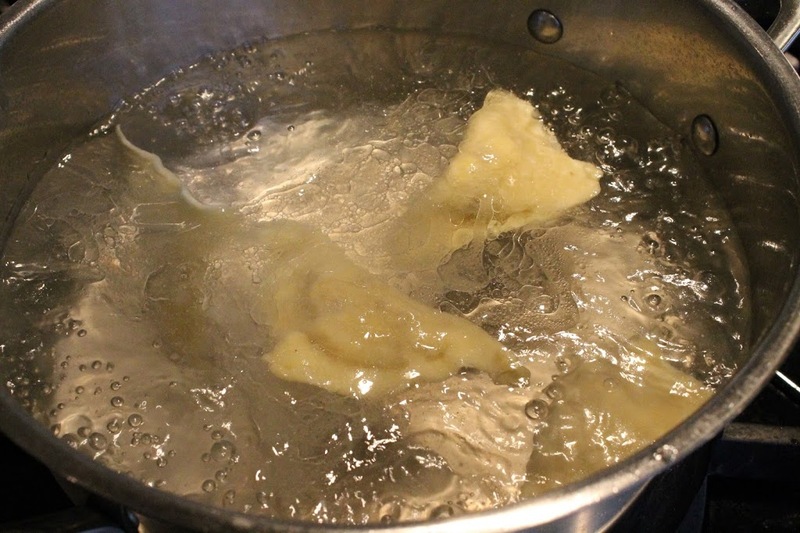 Simmer on medium heat for 12-14 minutes until the kreplach are cooked through, stirring occasionally. Serve in hot, golden, chicken soup (or your personal favorite). Line a large baking sheet with aluminum foil, then spray with non-stick vegetable spray. Cut into 24 even squares. 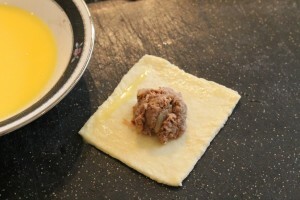 Place a teaspoon of meat filling in the center of the dough, then fold the ends around the meat pinching to seal. Place seam side down on the prepared baking sheet. Brush the knishes with egg, then top with your favorite topping. Serve with your favorite mustard or dipping sauce. Sometimes the old things ARE the best! Springfield Land ‘O Lincoln ruler…. Just like Dad z”l did! Exactly 3 inches! Dad z”l would be proud! 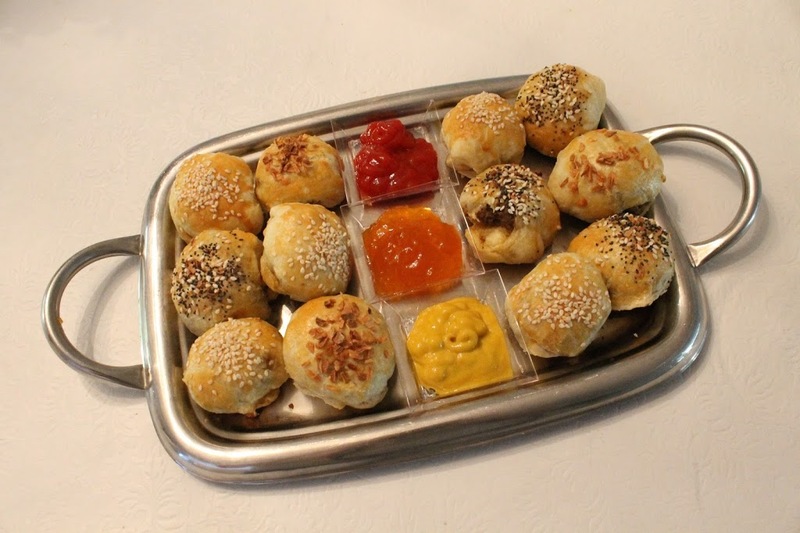 Sukkot knishes with dipping sauces. Awesome! 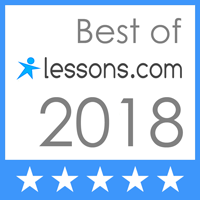 Do you ever use it?